I have been thinking for a while about patio furniture and what I want. Prior to yesterday, JB and I have been using our camp chairs on the back porch. Sad, I know! So, yesterday I went to Lowe's and purchased 4 Adirondack chairs. I was planning on buying tan ones and then spray painting the whole surface of each chair into different crazy colors, but I was pleasantly surprised to find these blue ones already there. I love the color of them, plus leaving them blue cut the work in half, which I am all in favor of! 1. Wash the chairs. Make sure they are really clean. 2. Cut out stencils (on my silhouette, of course) of the designs I wanted to use. I will provide free downloads at the end of this post! 3. 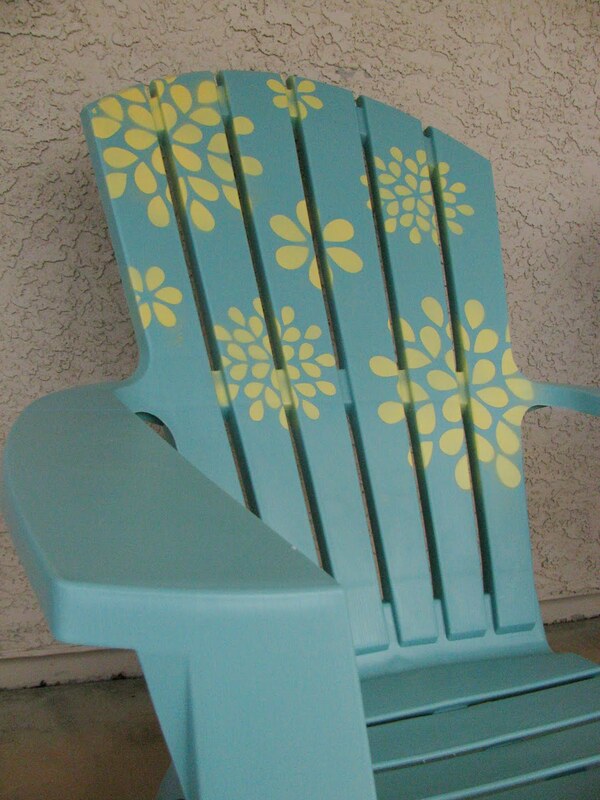 I sprayed a light layer of spray adhesive on the back side of each stencil before i put it on the chair. This way, the spray paint doesn't leak under the sides of the stencil. After I put the stencil where I wanted it, I covered the surrounding area with newspaper, using masking tape to secure it. 4. 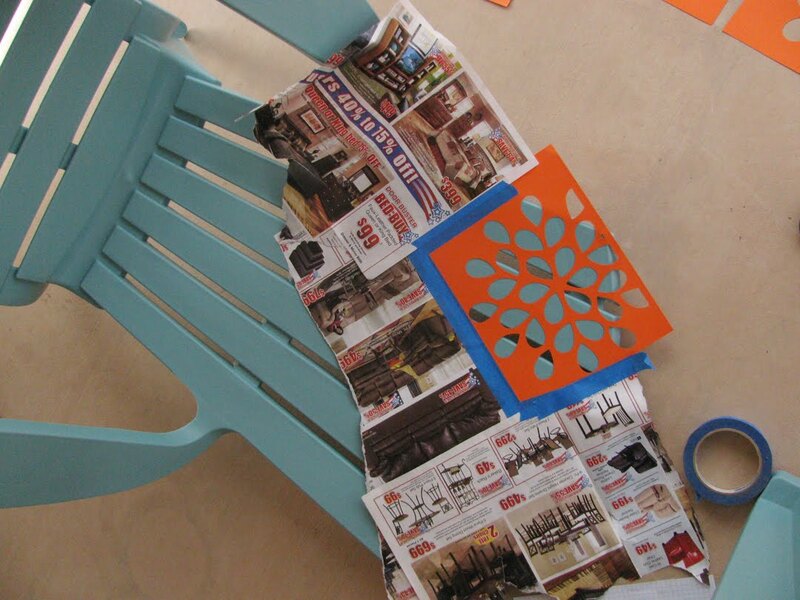 I then applied a thin layer of spray paint the chair, where the stencil is. After waiting a few moments, I pulled off the newspaper and stencil, and started on the next spot. **because I am not a patient person, I did one portion right after the other. But, I was really careful not to touch the previous sprayed sections with the other stencils or even the newspaper. Doing so will smear the paint! 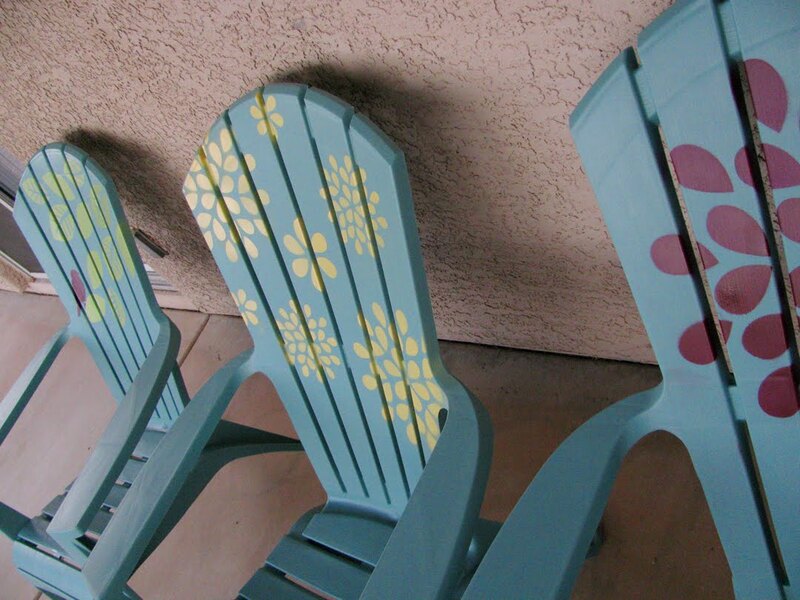 I am including cut files for the flower stencil used on two of the chairs pictured above. Here are the links to download a zipped folder of cut files (.svg and .gsd) and also a .pdf for anyone who wants to go at it with an exacto knife. There are so many possibilities for their use. You could use them to stencil a wall, a bag (I think I am going to take them to a canvas tote next), or a scrapbook page. If you do use them, I would love to see! Also, these files are for personal use only. I bought the same chairs!! 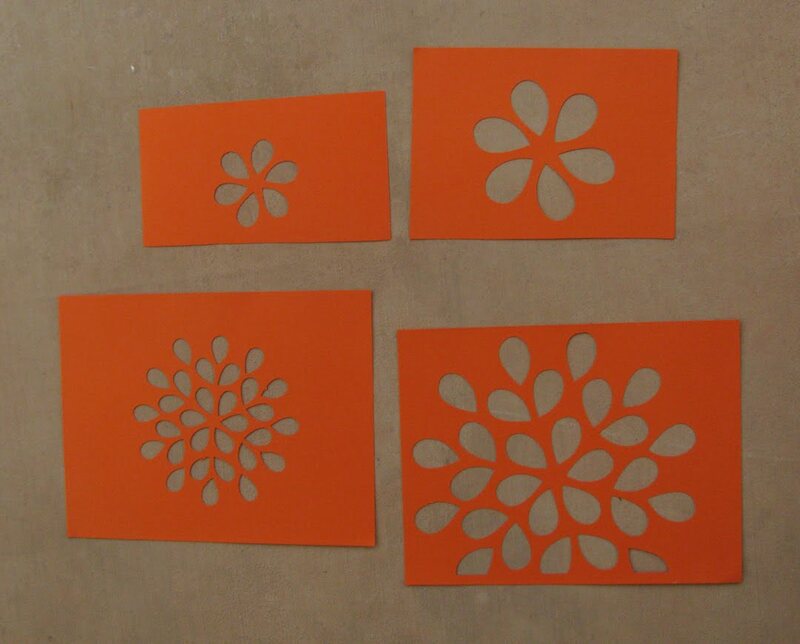 Thanks so much for the stencils..looks like a fun idea.. Your chairs are so inviting and cheerful! Love them. You've been linked. 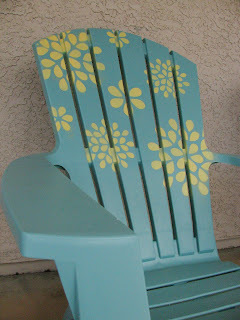 http://bellakates.blogspot.com/2011/04/adirondack-chair-paint-project.html Thanks for the inspiration! Did you put any kind of sealant on them? How do they hold up in the weather? Lovely idea. I'm going to try it. I am a graphic designer and love to blog about all things design, art, and craft. Home Ec Here I come!